Your wedding is your special day. You will plan every detail, from the dress to the decor, the wonderful food - and most importantly the entertainment. THIS IS YOUR WEDDING! Do what you love. Invite the people closest to you. Dance to the songs that bring you the most happiness. Eat the best food. Most importantly, enjoy all the special moments while making unforgettable memories. At Rudy C Productions, we strive to make this your day to spend with family and friends. Rudy C Productions has 10+ years in the industry and we will listen to all your wants and needs. For us, this is not just another gig or party, but a once-in-a-lifetime event. We consider it an honor to be your entertainment of choice and it is a responsibility we do not take lightly. WEDDING TESTIMONIAL Deciding whether or not to have a band or DJ at our wedding reception was probably the most difficult choice we had to make throughout our wedding planning. However, upon meeting Rudy at a bridal expo held at The Society Room of Hartford (our wedding venue), the decision became an easy one. Rudy was personable, collaborative, fun, and truly made us feel 100% comfortable with the entire process—from our first meeting to the final moments of our wedding night. If you feel at ALL nervous about a DJ controlling the song choices, tone, or overall feel of your reception (as we did), rest assured that you will be in good hands: everything was done to a tee, down to the spur-of-the-moment announcements we needed him to make during the night. I have had numerous attendees comment afterwards at how "there was such a vibe to that room" throughout the evening. He even made a point of finding me (the bride) at the end of the night to hand over a CD of the night's playlist—something we will treasure for years to come. Thank you, Rudy, for being an amazing MC, DJ, and friend throughout our engagement. We'd recommend him to anyone. While picking music for your special day is fun, it can also be very stressful. Finding the perfect song for your first dance may not be as easy as you think. What song should you dance to with mom and dad? What about cutting the cake? What does the wedding party walk out to? We’ll work with you to pick the perfect music. We will be glad to assist you and help with suggestions. We believe having options is never a bad thing, so make lists of songs and ideas – sometimes inspiration will come out of nowhere and all of sudden makes perfect sense. There is no wrong or right way to plan your special day. Other DJs will try to push a canned package for you to choose. At Rudy C Productions, we will listen to how you envision your day and provide you with suggestions customized to your dreams. Not sure what you’d want? That is no problem! Our expert team will lend a hand with suggestions on music, order of events, lighting, and more. BRIDE TESTIMONIAL Rudy was beyond AMAZING! He was available for phone calls or meetings when I felt like I needed them. Very easy to get a long with and the most fun out of all my vendors. A dj is really the heart of the party and all my guests were dancing till the lights came on and still didn't want to leave and that's all thanks to Rudy! He will always be my recommendations for an amazing party! I couldn't be more happy with the service he provided us! 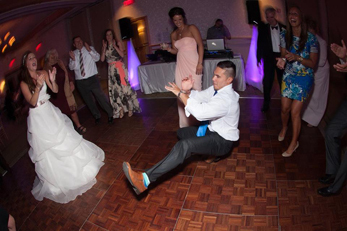 Schedule a DJ Consultation with RUDY C!